Positive The New York Times ...this assemblage of personal reflections and interviews may give the true Caro completist a creeping sense of déjà vu ... the book reads as if it were designed to divert as little of his time as possible ... Small and charming at about 200 pages, a quick spritz instead of a deep dive, Working is like the antithesis of Caro’s labor-intensive oeuvre, making it strangely reassuring proof that he is, well, working ... There are a number of anecdotes in Working that Caro has shared before — after all, his books are so comprehensive that it only makes sense ... For someone so interested in the power of others, Caro seems coy about his own power to shape legacies. The writer who emerges from these pages is so humble. Positive The New York Times Forché’s memoir starts off slowly, as she describes in minute detail how she made the fateful and seemingly inexplicable decision to follow a mysterious stranger’s directive to take such a perilous trip. But once Forché’s story gathers momentum, it’s hard to let the narrative go ... [a] riveting book ... the memoir I read was more intricate and surprising than such an earnest descriptor lets on ... Forché alludes to the political context in the book, but the shape of her memoir hews closely to what she herself saw and heard — and how, out of the horror, she began to discern what she needed to do. Positive The New York Times The hallmarks of Dworkin’s writing are all there: the confident strut; the incantatory repetition; the startling, belligerent language; the ruthless whittling down of options to a single, irrevocable point (\'my only chance\'). This was someone who thought deeply and read widely and was preoccupied with questions not only of justice but also of style. Last Days at Hot Slit, a new anthology of Dworkin’s work, shows that the caricature of her as a simplistic man-hater, a termagant in overalls, could only be sustained by not reading what she actually wrote ... Dworkin composed her work from a personal place, but she didn’t contain her experience in anecdote; she extrapolated, she deduced, she pronounced ... The women’s movement in Dworkin’s unyielding universe was no mere lifestyle choice; it was a matter of life and death. Rave The New York Times Book Review Pays attention to the larger changes in the culture, but its overall tenor is warm, immediate and intensely personal ... Readers looking for a biography of the group will find some of the basics here, but it’s how Abdurraqib filters the information—absorbing it, refracting it through his own distinctive lens—that gives this compact book its power ... This lush and generous book is a call to pay proper respects—not just to a sound but to a feeling. Positive The New York Times The World According to Fannie Davis is daughter’s gesture of loving defiance, an act of reclamation, an absorbing portrait of her mother in full ... Blending memoir and social history, she recounts her mother’s extraordinary story alongside the larger context of Motor City’s rise and fall ... the novelist in Davis knows that Fannie’s whole story was more complicated than a daughter’s protectiveness will allow. Positive The New York Times ...methodical and earnest ... The book contains useful summaries of the debates in the 1980s around the ozone layer and acid rain ... The one thing you begin to notice in this book is that propagating a reflexive skepticism and sowing discord aren’t terribly difficult, especially when there’s a vested interest willing to pay for it; \'merely creating the appearance of controversy\' is often all that needs to be done. Positive The New York Times As the resident movie critic of the journal n+1, Hamrah is committed to his ambivalence, conveying it with a mixture of precision and conviction that will remind you how much more there is to be gleaned from a review than whether a movie is \'good\' or \'bad\' (even if it’s a movie you happen to deem very good or very bad indeed) ... A political awareness imbues Hamrah’s criticism without weighing it down. 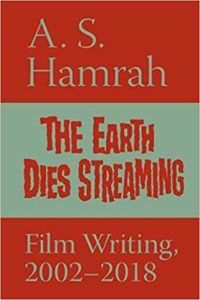 He doesn’t succumb to a leaden moralizing because he pays close attention to the medium he’s writing about, alert to what he sees and hears ... Hamrah is suspicious of anything that dulls the senses, lulling audiences into a false sense of security and therefore complacency. Part of his vigilance extends to being attuned to the circumstances under which he watches movies. Mixed The New York Times Jennifer Traig apparently...takes solace in how useless, contradictory and downright harmful so much advice has historically been. \'The things we take for granted as normal and natural strike parents in other parts of the world as absurd and dangerous,\' she writes, in this brisk survey of child-rearing tips through the ages ... The history recounted in this book is studded with violence and death ... Traig’s book is filled with tales of men telling women what to do, and she’s candid about how furious it makes her ... She isn’t wrong, but the nonstop vaudeville can get wearying. Some of her punch lines are so broad that they should be accompanied by a sad trombone ... Parenting is a subject that generates so much piety that you can’t fault Traig for having a sense of gallows humor, though the calibration is off. Part of this has to do with how skillful and fluid a writer she is otherwise—the facts seem to tumble forth, in a way that makes her jokes feel superfluous (when they aren’t awful) and strenuous (when they are). Much of the story she tells is pieced together from other books ... Still, it’s a fascinating narrative, tracing the long history of mistakes and reversals and cultural presuppositions that have structured our most intimate relationships. Rave The New York Times ...from the looks of Rise and Kill First, he knows more than he’s supposed to ... What follows is an exceptional work, a humane book about an incendiary subject. Blending history and investigative reporting, Bergman never loses sight of the ethical questions ... far from an apologia. If anything, Bergman suggests that Israel’s honed aptitude for clandestine assassinations led the country to rely on them to a fault, approaching some complex strategic and political concerns as problems that an extrajudicial killing could fix ... This book is full of shocking moments, surprising disturbances in a narrative full of fateful twists and unintended consequences. Mixed The New York Times This is a timely book. It’s also a provocative one ... Churchwell has a tendency to corral the unruliness of her material by overstating her case. Still, she’s an elegant writer, and when \'America First\' and \'the American dream\' come head-to-head in her book during the run-up to World War II, the unexpected (and alarming) historical coincidences begin to resonate like demented wind chimes ... Churchwell strenuously resists any implication \'that the American dream was invented as a fig leaf to protect white privilege, to obscure the racist foundations of the capitalist system in institutional slavery.\' But the phrase didn’t have to be \'invented\' for that purpose in order to serve as such. Her entire book argues against categorical defenses like hers. Behold, America illuminates how much history takes place in the gap between what people say and what they do. Rave The New York Times Writers are supposed to have a hard time killing their darlings, but there are a few who apparently thrill to the task. In Born to Be Posthumous: The Eccentric Life and Mysterious Genius of Edward Gorey, the cultural critic Mark Dery explains how Gorey was always looking to pare things down ... faced with so much ordinariness, Dery does his best, which proves to be more than enough. Born to Be Posthumous is an entertaining account of an artist who liked to be coy with anybody who dared to write about him. Positive The New York Times Blight’s is the first major biography of Douglass in nearly three decades, making ample use of materials in the private collection of a retired doctor named Walter O. Evans to illuminate Douglass’s later years, after the Civil War ... On the stuff that’s known, Blight is an attentive if sometimes fastidious guide, poring over speeches and texts with the critical equivalent of a magnifying glass ... Blight’s book really comes into its own in the later chapters, as it conveys Douglass’s trajectory through Reconstruction, his support for (and split from) the women’s suffrage movement, and beyond ... Blight isn’t looking to overturn our understanding of Douglass, whose courage and achievements were unequivocal, but to complicate it — a measure by which this ambitious and empathetic biography resoundingly succeeds. 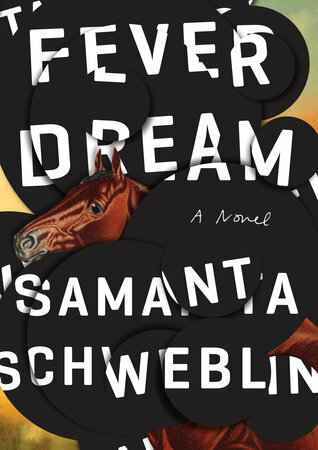 Rave The New York Times Ninth Street Women is supremely gratifying, generous and lush but also tough and precise—in other words, as complicated and capacious as the lives it depicts. 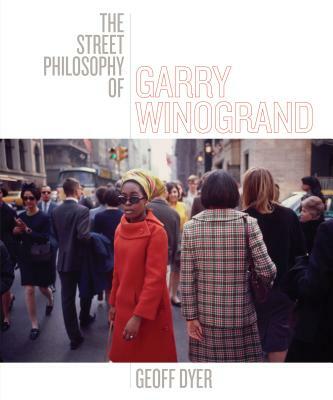 The story of New York’s postwar art world has been told many times over, but by wresting the perspective from the boozy, macho brawlers who tended to fixate on themselves and one another, Gabriel has found a way to newly illuminate the milieu and upend its clichés ... There’s so much material roiling in Ninth Street Women, from exalted art criticism to the seamiest, most delicious gossip, that it’s hard to convey even a sliver of its surprises ... \'The stories told in this book might be a reminder that where there is art there is hope,\' Gabriel writes in her introduction, but that wan, anodyne sentiment doesn’t do justice to the gorgeous and unsettling narrative that follows; it’s as if once Gabriel got started, the canvas before her opened up new vistas. We should be grateful she yielded to its possibilities. Mixed The New York Times The moments when Vargas describes how profoundly alienated he feels from his own family are the most candid and crushing parts of the book ... Dear America covers some of the same ground as Vargas’s essay for The Times Magazine, as well as his 2013 film, Documented. The weakest parts of the book have him proclaiming a humble altruism that simply doesn’t jibe with the more complicated (and, frankly, more interesting) person he otherwise reveals himself to be ... It was brave for him to come forward as he did, but the motivations for putting one’s name to such an attention-getting, incendiary article are rarely so selfless and pristine. For one thing, by making himself so visible he was not only notifying the authorities of his existence; he was also gaining a form of protection by making himself known. This isn’t to begrudge him any of it. Dear America is a potent rejoinder to those who tell Vargas he’s supposed to \'get in line\' for citizenship, as if there were a line instead of a confounding jumble of vague statutes and executive orders—not to mention the life-upending prospect of getting deported to a country he barely remembers. Rave The New York Times Her one-volume history is elegant, readable, sobering; it extends a steadying hand when a breakneck news cycle lurches from one event to another, confounding minds and churning stomachs ... The size of the project is liberating and constraining at once ... But in Lepore’s hands, the history gets some room to breathe ... her book is less about a struggle between heroes and villains than it is about the country’s often tortured approach to political equality and natural rights—truths that were supposed to be self-evident but have been treated as if they were anything but ... Few, if any, politicians come out of Lepore’s account looking pristine, though she casts some as more calculating and opportunistic than others ... Lepore is at her most formidable when she’s marshaling historical evidence. Some of her more literary flourishes read like good intentions gone awry ... This cleareyed history had done its civic duty: It primed me to miss the Lepore who tells it like it is. Positive The New York Times One Person, No Vote reads like a speedy sequel of sorts to her previous book ... Her new book seems to have been written from a state of emergency, in an adrenaline-fueled sprint. 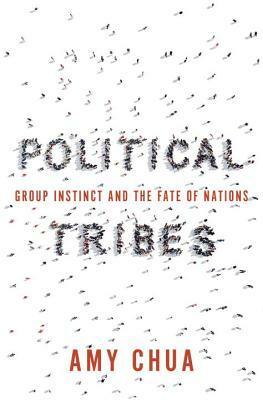 Anderson is a stinging polemicist ... this trenchant little book will push you to think not just about the vote count but about who counts, too. Rave The New York Times Orlean’s work in general has that elusive quality to it: exquisitely written, consistently entertaining and irreducible to anything so obvious and pedestrian as a theme ... a loving tribute not just to a place or an institution but to an idea ... 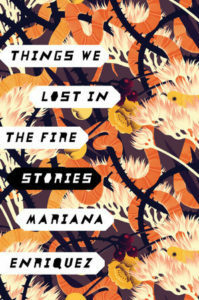 Her depiction of the Central Library fire on April 29, 1986, is so rich with specifics that it’s like a blast of heat erupting from the page ... What makes The Library Book so enjoyable is the sense of discovery that propels it, the buoyancy when Orlean is surprised or moved by what she finds. Rave The New York Times [An] illuminating and often surprising new book ... A number of books have been published in recent years about the brave new gig economy, but Temp examines the underlying cultural shift that made it all possible ... I prefer Hyman when he gets out of wonk-mode and tells us what is really at stake ... Here, finally, is a book that encourages us to imagine a future that is inclusive and humane rather than sentimentalize a past that never truly was. Positive The New York Times With She Begat This: 20 Years of ‘The Miseducation of Lauryn Hill, Morgan takes an album that was a cultural touchstone—the kind of work that elicits ardent devotion and ardent backlash—and holds it up to the light, showcasing its brilliance and its shadows ... Morgan insists that loving something isn’t the same as giving it a pass. She Begat This makes a full-throated case for Hill’s artistic and historical importance, but this appreciation doesn’t translate into gauzy praise for some of the stickier parts of Hill’s career—including legal tussles over writing and production credits on Miseducation ... Morgan straightforwardly engages with Hill’s critics, making a point to talk to those whose opinions don’t jibe with her own ... She Begat This is thick with competing opinions, as well as chunks of dialogue. Morgan is such a fluid and candid writer that I often wanted to hear more from her. But ... It feels like the right approach to an artist like Hill; her iconic album might be 20 years old, but our understanding of it is still a work in progress. Rave The New York Times It takes a while to realize that Emre has gotten you hooked under arguably false pretenses, but what she finally pulls off is so inventive and beguiling you can hardly begrudge her for it ... The Personality Brokers is history that reads like biography that reads like a novel — a fluid narrative that defies expectations and plays against type ... The Personality Brokers contains a judicious amount of historical context ... it’s Katharine and Isabel who are at the core of this story, and Emre depicts these two women — long dead and largely unknown — with the acuity they deserve. Isabel, in particular, is drawn with precise, confident strokes. 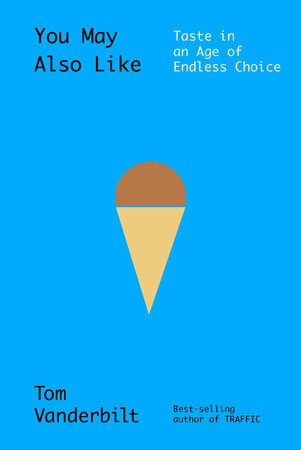 Rave The New York Times In Jell-O Girls, she weaves together her family history and the story of the classic American dessert to produce a book that alternately surprises and mesmerizes. Despite its title, this isn’t a bland tale that goes down easy; Jell-O Girls is dark and astringent, a cutting rebuke to its delicate, candy-colored namesake. It’s also the kind of project that could turn unwieldy and even unbearable in the wrong hands. But Rowbottom has the literary skills and the analytical cunning to pull it off. Like a novelist, she can imagine herself into the emotional lives of others, while connecting her story and theirs to a larger narrative of cultural upheaval ... Rowbottom traces all of this with a sure hand, drawing details from her mother’s unfinished memoir and shaping them so that they make sense in her own. Much of the writing is lush yet alert to specifics ... As sharp as her insights often are, this is a book in which Everything Signifies. Even a digression about the catacombs in an Italian monastery includes some Jell-O symbolism. You occasionally want to tell Rowbottom to ease up: Sometimes a Jell-O mold is just a Jell-O mold. The product history is mostly illuminating, though, as Rowbottom shows how the brand tried to keep up with the times ... Rowbottom’s book is too rich and too singular to reduce to a tidy argument. Positive The New York Times Dopesick touches on these political developments, but its emphasis lies elsewhere. Macy’s strengths as a reporter are on full display when she talks to people, gaining the trust of chastened users, grieving families, exhausted medical workers and even a convicted heroin dealer ... There’s a great deal in Dopesick that’s incredibly bleak ... Macy suggests [ending America\'s opioid crisis] will require a profound transformation of how we understand who we are in relation to one another. Positive The New York Times The Fall of Wisconsin: The Conservative Conquest of a Progressive Bastion and the Future of American Politics the Brooklyn-based journalist and Wisconsin native Dan Kaufman shows how the state became a conservative test case. As the head of the right-wing, Milwaukee-based Bradley Foundation told him, \'Wisconsin is a laboratory for the rest of the country\' ... As Kaufman makes clear, though, the notion that Wisconsin in 2016 was some sort of Democratic stronghold showed just how complacent Clinton and the liberal establishment had become. Trump, sensing an opportunity, made an aggressive play for the state. Clinton, in stark contrast, sent surrogates instead of showing up herself. Kaufman describes her as not just out of touch but quite literally not there ... You can sense Kaufman’s mounting outrage, even if he’s quiet about it. His prose is somber and subdued. The most incensed he gets is in an earnest paragraph about Hillary Clinton and her \'negligence of Wisconsin,\' in which any bile could pass as indigestion. Positive The New York Times The eagle has crash-landed, or it’s about to, leaving a trail of red stuff on the cover of Steven Brill’s new book...\'Is the world’s greatest democracy and economy broken?\' Brill asks at the outset of Tailspin ... The country may not be in utter shambles, Brill argues, but it’s getting there. President Trump is just the latest manifestation of rampaging anger and resentment. Declining social mobility, a shrinking middle class, widening income inequality, crumbling infrastructure — there’s plenty to be mad about, and plenty of blame to go around. Positive The New York Times ...candid and cheerfully irreverent ... bringing new energy and insight to questions that have long preoccupied the art world. As Painter puts it: \'What counts as art? Who is an artist? Who decides?\' Painter gets more playful with these questions than she initially lets on. One of the most enjoyable aspects of Old in Art School is seeing her relax her historian’s grip on social meaning and open up to new ways of seeing. Mixed The New York Times The tough-guy titles of their previous books...exhibited an adamant righteousness that The Restless Wave, with its rolling title, occasionally strives for but fails to convey. You can see McCain in this book struggling to reconcile himself to what his Republican Party has largely become, even if he declines to come right out and say so ... One of the striking aspects of this new book is how often McCain — who says his dire medical prognosis leaves him “freer” to speak his mind and vote his conscience “without worry” — insists on playing it safe. The six-term senator from Arizona slips in a few careful mentions of Donald J. Trump, and expresses concern about the rancor that has overtaken the country, but he generally stops short of calling out the president or his cabinet ... Blink and you might miss his critique ... The Restless Wave is a wistful book; McCain wants to rally Americans around helping an imperiled world, rather than accept that the call might be coming from inside the house. Mixed The New York Times Reese got ensnared in a tangled web of promising leads and dead ends — as does King’s book, which can get bogged down in the morass of Lake County’s unrelenting racism and squalid corruption ... This isn’t to say that King’s digressions are uninteresting, or even irrelevant. It’s just that combined with the baroque twists of the Daniels case, the book begins to get unwieldy. King, an amateur historian, has an appreciation for the startling detail and the circuitous connection. He’s clearly done his research, unearthing transcripts and talking to survivors ... Beneath a Ruthless Sun tracks the noble efforts of Reese, who is mainly presented here through her earnest editorials. No doubt Reese was not as one-dimensional as the upstanding figure in this book (in the Groveland case, King mentions, she had initially called for the execution of the defendants). But without a more riveting linchpin to anchor the narrative, Beneath a Ruthless Sun grows as sprawling as the conspiracy it depicts. Mixed The New York Times ...O’Toole is a lucid and elegant writer (her book about Adams was a finalist for the Pulitzer Prize), and The Moralist is a fluid account that feels shorter than its 600-plus pages. Despite its length, there isn’t a passage that drags or feels superfluous. She gives each of her many characters their due, rendering them vivid and also memorable — an effect not to be taken for granted in a serious history book covering an intricate subject ... Still, about the persistent racism — including Wilson’s flouting of his own democratic ideals in the Caribbean — O’Toole says some, but not enough ... On Wilson’s tortured entrance into World War I, she is truly superb ... As a study of Wilson’s relationship with Europe, and the intrigues of his foreign policy administration, the book is exemplary. But like her subject, O’Toole occasionally gets trapped by her own noble intentions: A biography called The Moralist, which takes Wilson’s \'great sense of moral responsibility\' as its starting point, surely sets up expectations for a deeper exploration of just where he drew that line. Positive The New York Times There’s a certain tenuousness to Winogrand’s photos; the compositions hold together, but just barely. He was conveying not the coherent myth of the American century, but its unruly shadow. Dyer’s accompanying texts wear their erudition lightly ... For the most part, though, Dyer’s gifts as a noticer and a writer become fully apparent when he lets himself get deeply, comically weird ... Winogrand might not have been thinking about where anything was going or where it had been, but he did one better than that: He showed us what it all looked like. Positive The New York Times Mounk is a clear and often forceful writer, if not an especially stylish one; he favors the step-by-step explication and the tidy formulation. His prose seems to reflect his preferred mode of politics: earnest, respectful and pragmatic. Positive The New York Times Joshua B. Freeman’s rich and ambitious Behemoth: A History of the Factory and the Making of the Modern World depicts a world in retreat that still looms large in the national imagination. 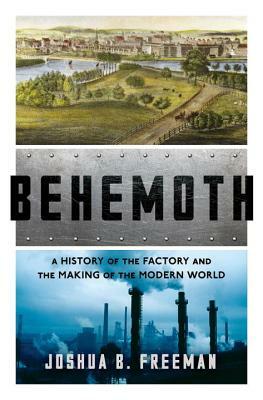 Behemoth is more than an economic history, or a chronicle of architectural feats and labor movements. Freeman...traces the rise of the factory and how it became entwined with Enlightenment ideas of progress ... Behemoth doesn’t romanticize the earlier incarnations of gigantic factories, but Freeman understands why some people did — and still do. Pan The New York Times Chua sprints through her international material in a little over 100 pages before returning to the United States — which is where she gets stuck in a quagmire of her own making. What started out in her introduction as a shrewd assessment of our fractured political situation turns into a muddled argument about what Americans, mainly liberals, need to do next … Considering how much she’s thought about tone-deaf cosmopolitan elites seeming hopelessly out of touch, she would have done well to heed the moral of her own book: When changing lanes, check your blind spot first. 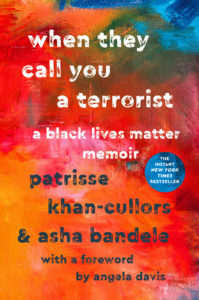 Positive The New York Times Book Review The book is subtitled 'A Black Lives Matter Memoir,' but only the last quarter is devoted to the genesis of the movement in 2013... Most of this ruminative volume is instead about Khan-Cullors’s life as a child and a teenager, when the heavy pull of shame and sadness kept her tethered to a more private world of confusion and pain ... Khan-Cullors gives us the personal background, located in her life ... There’s a persistent longing that threads through this book — not so much for the consumerist dream represented by Sherman Oaks, but for the secure relationships she saw her wealthy, white classmates taking for granted ... As a black, queer woman, Khan-Cullors is the kind of activist conservative politicians get panicky about, though they ostensibly share with her an overlapping area of concern. Mixed The New York Times Book Review ...Frum purports to offer more than a rushed assessment of the last year. After all, he says, President Trump is not a cause but a symptom. 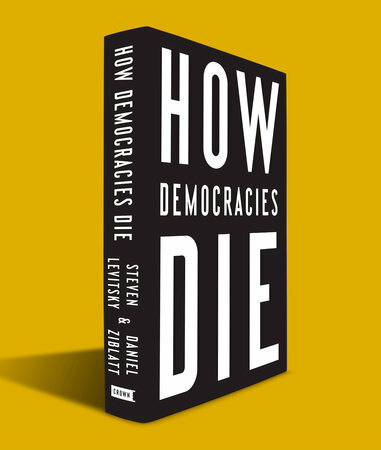 Like another new book, Steven Levitsky and Daniel Ziblatt’s How Democracies Die, Trumpocracy is, in part, an exploration of the reasons for the president’s electoral upset and the roots of his rule ... Among Frum’s fellow Republicans who read this book, all but the most determined Trump enthusiasts should feel pin pricks of recognition and, depending on how much hypocrisy they can live with, a queasy discomfort ... 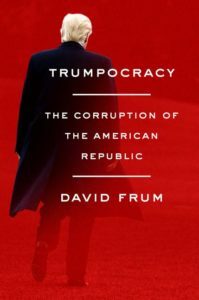 The book seems to have been written in haste, a patchwork of bits and pieces from his Atlantic columns, additional examples of Trumpian malfeasance, and new ways of expressing old outrage ... Frum has the pamphleteer’s flair for the scathing epithet, which can be energizing or enervating, depending on your tolerance for hyperbole. Even sympathetic readers may feel besieged when he works himself up to full throttle. Rave The New York Times Book Review How Democracies Die is a lucid and essential guide to what can happen here. Levitsky and Ziblatt show how democracies have collapsed elsewhere — not just through violent coups, but more commonly (and insidiously) through a gradual slide into authoritarianism ... When presenting the most distressing historical analogies, the authors’ understatement is so subdued it verges on deadpan. 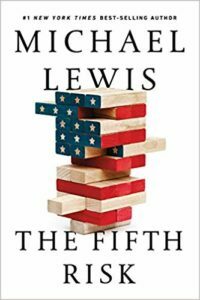 But our current moment is so fraught that How Democracies Die is never dull, even if the writing can be ... Levitsky and Ziblatt are drier and more circumspect. There is no democratic paradise, no easy way out. Democracy, when it functions properly, is hard, grinding work. This message may not be as loud and as lurid as what passes for politics these days, but it might be the one we need to hear. Mixed The New York Times Book Review Reset contains a fair amount of repetition — which doesn’t make it a bad book, though it can sometimes come across as disjointed. It is a tricky thing to write a memoir that’s also supposed to function as self-help and tell-all and activist’s manifesto, as well as indictment. Hammer your points too hard, and you don’t reveal enough of yourself as an ambivalent, fallible human being; reveal too much of yourself as an ambivalent, fallible human being, and you risk opening seams in the armor of your case ... It’s only when the memoir arrives at her tenure as a chief of staff at Kleiner Perkins that she fully sheds the voice of the innocent babe in the woods and allows some welcome cynicism and anger to come through. 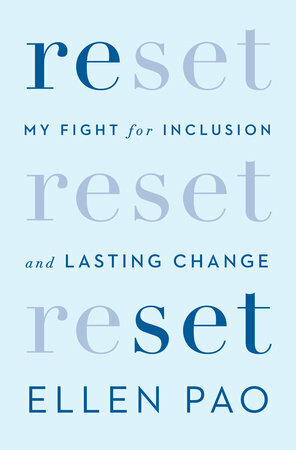 Her sentences get sharper; her jokes more cutting ... Pao, like Sheryl Sandberg, implies that having more women in positions of power will eventually benefit all women, and Reset ends with her having found sisterhood and solidarity in the tech world, helping found Project Include to fix a system that has 'exclusion built into its design.' This sounds like a promising development for Silicon Valley. 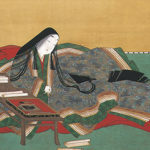 For her book, though, it puts Pao back in safety mode, as she abandons the scabrous energy of her middle chapters and reverts to the kind of upbeat language she used when describing her childhood. Pan The New York Times Book Review a strange hybrid of a book, part how-to manual, part jeremiad, filled with rambling disquisitions ... All of this makes The Vanishing American Adult both voluble and evasive at once, as Sasse layers tale upon tale, repeats modifiers and metaphors, and serves up bland platitudes without venturing much by way of political specifics. 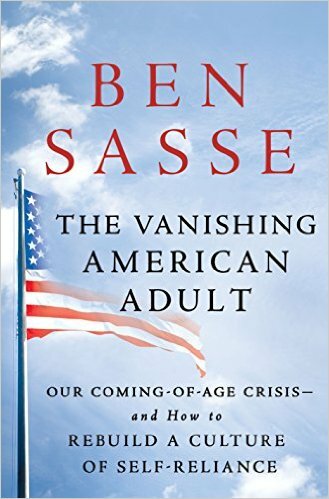 In other words, this is a consummate politician’s book ... To read The Vanishing American Adult is to reside in a parallel universe where older Americans stoically uphold standards of decency and responsibility, instead of electing to the country’s highest office a reality-TV star with six business bankruptcies to his name who brazenly flouts both ... It must be nice to be Ben Sasse, in a position to pick and choose the hardships one will adopt in order to learn some life lessons — and to feel morally superior for having triumphed over phony adversity. But to anyone who buys into the notion, especially now, that the country’s political future can be rescued by getting our toddlers to bring us our socks, one can only say: Good luck with that. Rave The New York Times Book Review Enriquez’s stories are historically aware and class-conscious, but her characters never avail themselves of sentimentalism or comfort. She’s after a truth more profound, and more disturbing, than whatever the strict dictates of realism will allow ... There is something almost biblical about the evil that threads through this collection, only the evil here is more vicious and unyielding, without the consolations of God or rescue. This isn’t to say the stories are unreadable — far from it. They are propulsive and mesmerizing, laced with vivid descriptions of the grotesque (another skillful translation by McDowell) and the darkest humor ... I will be haunted for some time by the indelible images in this book. Mixed The New York Times Book Review [Vanderbilt] is a generally amiable and thorough guide to a subject that can get either fussy or murky fairly quickly, and he has an obsessive determination to get to the bottom of something we exercise so often and unthinkingly we tend to take it for granted ... [The] lukewarm vagueness, whether deliberate or not, makes for a book that has a lot of interesting bits and pieces but seems to be missing a larger animating principle. 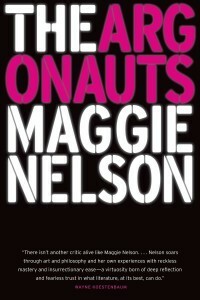 Rave The New York Times Book Review At 143 pages, The Argonauts contains much more than its unassuming size would suggest, a discrepancy befitting an exploration of what may and may not be contained by our physical selves ... So much writing about motherhood makes the world seem smaller after the child arrives, more circumscribed, as if in tacit fealty to the larger cultural assumptions about moms and domesticity; Nelson’s book does the opposite. Like the Argo, her ship’s been renewed, and her voyage continues.